The United Nations may have judged Finland the happiest country in the world, but the Helsinki summit failed to make Donald Trump and Vladimir Putin smile. The American and Russian leaders seemed almost theatrically sour as they sat down for their first formal one-on-one summit despite the city's un-Baltic heatwave. Perhaps fearing that Trump's eagerness to forge a bond with Putin be mistaken for cheerful naivety, US officials played along with the serious mood. Trump and Putin did not shake hands when they entered, sullenly, but only when they began a lengthy closed-door meeting that had the diplomatic world on edge. 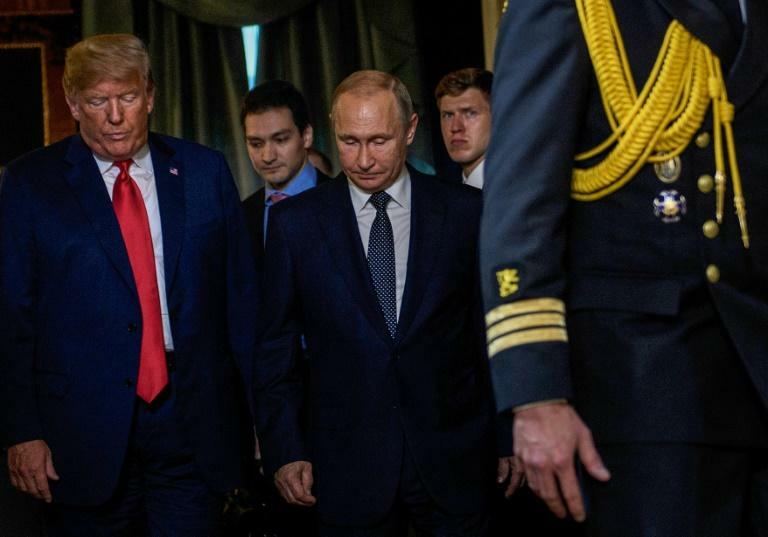 And when White House spokeswoman Sarah Sanders tweeted out a picture, she chose a sombre black and white showing Putin's eyes lowered and Trump looking dully angry. The body langauge was awkward, but television footage later showed Trump offering a stone-faced Putin a reassuring wink. There was none of the breezy pageantry of Trump's summit with North Korea's Kim Jong Un, or the tactile camaraderie of French President Emmanuel Macron's White House visit. Perhaps this was to be expected. There is a lot at stake for the presidents, both in terms of global security and their personal and political reputations. But if the occasion stifled their smiles, it was not for lack of a welcome from Helsinki, hosting its biggest East-West summit since the Cold War. Even the Scandinavian summer was on its best behaviour, with sunshine and 30 degree Celsius heat (86F) at the harbour-front venue during almost 20 hours of daylight. Securing the summit represented the biggest operation for Finland's small police force since Bill Clinton and Boris Yeltsin came to Helsinki in 1997. The country has the lowest number of officers per capita of any in the European Union, but the police were able to handle both press and small crowds of peaceful protesters. A military patrol vessel chugged around the busy harbour from time to time, between cruise liners and tour boats, but there was no theatrical ring of steel. The warm welcome also extended to facilities for the press -- more than 2,000 of whom were accredited to cover the one-day summit. 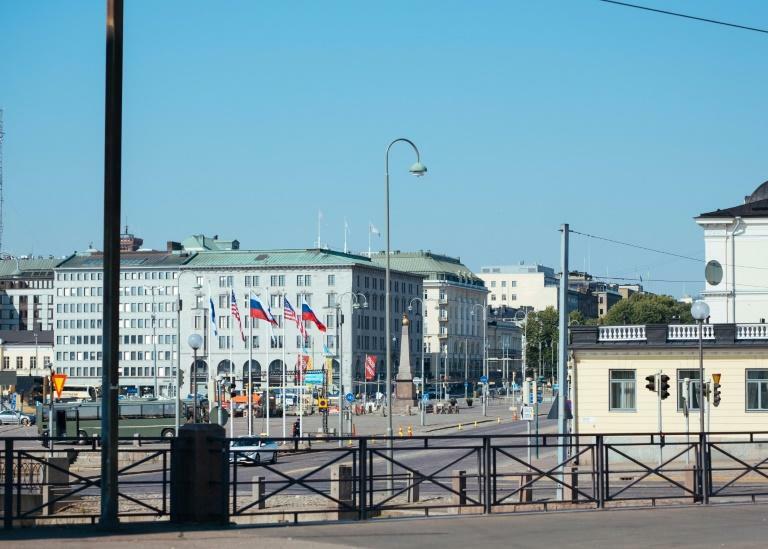 Both leaders were told "Welcome to the land of free press" by billboards on the route from the airport, paid for by the top-selling newspaper Helsingin Sanomat. While the White House press corps took over a conference centre overlooking the sun-dappled harbour, international reporters took over the Finlandia Hall. A venue for classical music designed by celebrated architect Alvar Aalto, the Finlandia was equipped with a lounge to watch Sunday's World Cup final. Craft beers and local delicacies competed with an on-site sauna to tempt reporters away from their laptops and cameras. In all, it was an impressive operation -- especially as Finland had been given only 10 days to revive its role as a host of crucial security summits. Finland was chosen for its non-aligned status, even if it maintains a distrust of Russia and leans West -- President Sauli Niniisto attended last week's NATO summit. Before the Yeltsin-Clinton summit, George Bush and Mikhail Gorbachev came to Helsinki in 1990, just a year before the Soviet Union fell apart. And in 1975, Gerald Ford and Leonid Brezhnev signed the Helsinki Accords, to uphold the post-war carve-up of Europe agreed by Washington, Moscow and London. So the city has a track record as a bridge between its friends in the West and nearby Russian neighbours -- even if it also has a long memory. In pride of place among the delicacies on offer to reporters in all the summit venues: Karelian pastries, served with egg butter. Karelia is to Finns a historical province of Finland, now part of Russia, which controlled all of the country between 1809 and 1917. Things have moved on for Finland since their bitter battle for independence. So much so that the 2018 UN World Happiness Report named it the cheeriest spot on Earth.